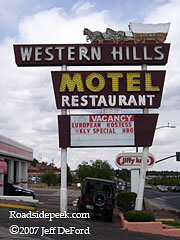 Featuring a sign that appears to have once been animated, the Western Hills Motel and its marquee still stands in Flagstaff, AZ. 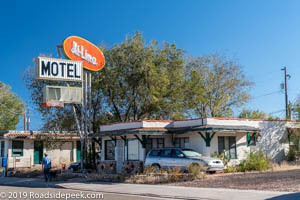 The Hi-Line Motel is located in the Route 66 community of Ash Fork, AZ. Check out this marquee with looks to catch the eye of motorists. Here is a photo of the Hi-Line back in the 2000's. 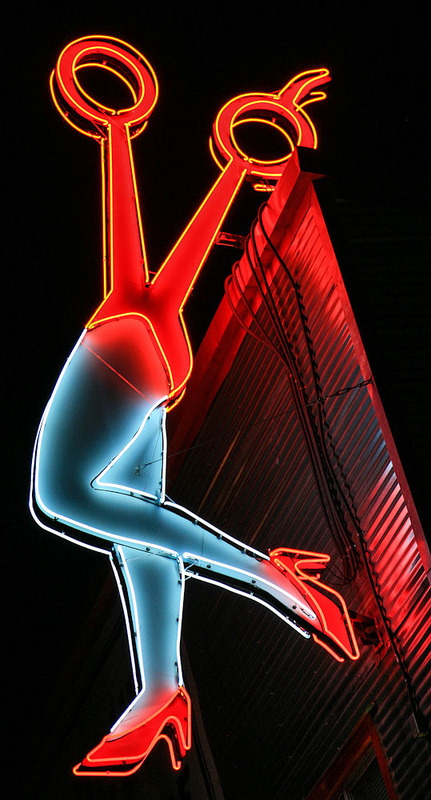 The motel sign from back then did not look too diffferent from its appearance today. 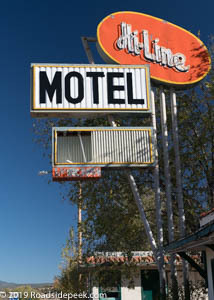 The Hi-Line was just one of the eye catching sights to see along the old Route 66 in Ash Fork. 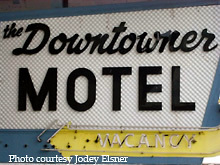 Another motel that can be found off Route 66 in Williams is the Downtowner Motel. This sign is located on the back end of the Williams "loop" and points the way into the motel. 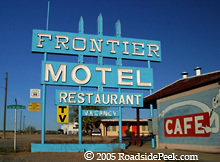 The Frontier Motel is located in Peach Springs, AZ right along the Route 66. The Frontier opened for business in 1952. The paint on the sign was recently restored around 2002.